It is fun – and it should be! The days of CakePHP 2 plugins and how difficult it was to actually develop plugins are over. Back in the days (OK, I still have to do it once in a while), there was even an app required to test a plugin. Since you didn’t want to have a boilerplate app for each plugin, you usually worked in your actual app. So you had cross contamination from that messing up your tests and stuff. Really annoying. While most of the concrete examples are about plugin development for CakePHP 3, the main ideas apply to all library code you write. And if you are a developer for other frameworks, the same principles apply, only the concrete implementation might differ. So you could skip the "real story" part. I started by creating a fresh GitHub repo "cakephp-hashid" and cloning it (git clone URL). or even bake your plugin code (cake bake plugin Name) and move it to your stand-alone plugin. As soon as I added more use cases, especially with some config options and edge cases, I quickly saw where things were not working as expected. But while getting those to run, I also saw if I broke the existing already working tests. Big help. Once I got everything in a beta usable state, I pushed and published the repo. After some documentation (!) in the README as well as Travis/Packagist enabling, I already composer required it in my Sandbox project and started to use it "for real". When I got it all working in live mode, I felt convinced enough to release a 0.1 beta tag. I got 95% code coverage out of the box without writing additional tests (I did write them parallel to the code as "pseudo app test frame"). Simply because when I wrote the plugin code and tests, I already tried the different options available, running into all possible code lines by design. So now I added more features over the next 1-2 hours, released 2 more tags and after a few days it is now time for the official 1.0.0 release. Here is my sandbox demo code for this plugin, by the way: sandbox3.dereuromark.de/sandbox/hashids. In parallel I started even a 2nd small plugin Markup, which took my only half the time even because now I was already quite fast in setting up the boilerplate stuff. Here I also tried to keep it extensible for use cases of future plugin users. So overall I invested a few hours total to have two easily maintainable plugins that are open for extension, but by default suit my needs. Try it yourself, you will see that this way it really is not too hard to develop and publish such a plugin. For test cases it also never hurts to take a look into the core test cases. The positive side-effect here is that the iterations of these plugins can be independent from the core development, making feature development faster as there is no core release for the whole package necessary anymore. Does the majority of devs need this functionality, and if so, this specific implementation of it? Is it beneficial for both core and plugin to keep it standalone for maintenance and extendability reasons? There will be more questions you can ask if you continue reading the next chapters about more generic principles. Try to follow coding and package principles. 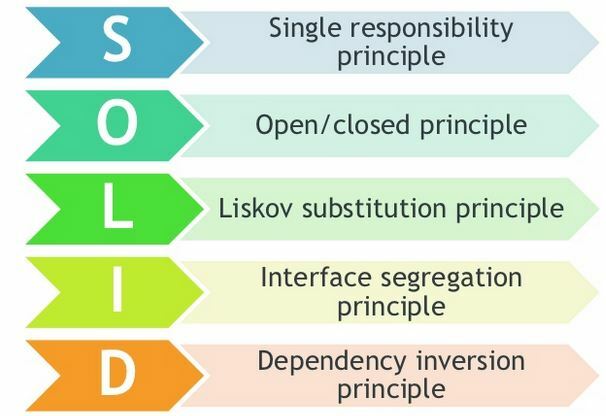 The 5 well known SOLID principles can help us deciding how to best code our plugins and libraries. Try to keep your classes simple and short, doing one specific task. Take a look into my Geocoder behavior. This might be not so important to you as plugin designer, but as soon as people use it, they might want to change maybe how a specific implementation of your dependency works. So always try to not contain specific switch statements or if/else blocks. Instead, always implement against a generic interface that allows for exchangeability. This is especially important for type-hinting constructors and methods. Ideally, we always enforce class dependencies via constructor argument commonly known as "Constructor Dependency Injection". When allowing to exchange the used class, we should respect that. As with the first principle, it is also important for DI that if you type-hint methods, class properties and alike, always try to use the Interface, not a concrete class. Note that there is a second way to pass class dependencies usually referred to as "Setter Dependency Injection". This should be avoided for required classes and only be used for optional parts, if any. Some of the 6 commonly known package principles can also be quite useful for our decisions. It is very much possible that whatever plugin you are going to write, the functionality itself could be interesting to other PHP applications. With 2.x it was hard to provide it both ways, with 3.x this is now as easy as it gets. A good example is Mark Story’s AssetCompress plugin. Back in 2.x this was a full blown CakePHP-only dependency. He realized that most of the code behind it could very well be useful to other PHP projects, though. With CakePHP 3 it was finally possible to move the code into a standalone lib called MiniAsset. All that was left of the plugin code was to function as a CakePHP bridge. This enables the actual library to be used by everyone whereas the framework users could use the plugin. So also check your existing (plugin) code for this maybe. Code that is used together, should be ideally in the same package. Micro-splitting each class into it’s own plugin might not always be wise. It also increases maintenance time/costs. So if you have a Geocoder Library class talking to the API and a Geocoder Behavior using this Library to populate entities, you would always use them together, or just the library class. Splitting them into own plugins does not sound feasible here, as the default case sees them used together. A package should not have more than one reason to change. So when you put too many different classes or even multiple different dependencies into a plugin/lib, you might have to major bump for each of those separately, creating a lot of annoyance for the users only using the unrelated part of code. Bear that in mind when packaging. Packaging a lot together eases maintenance time/costs, however. So you need to find a good balance here (also regarding CRP principle) for the maintainer(s) as well as the package users. Most probably know my Tools plugin, which was started way back in 2006 with SVN and no github/composer. At that time it would have been super painful to support multiple plugins via SVN externals and no release/version locking really. Thus one monolith class collection. Over the time, with GitHub and more people using it (not just me anymore), it became clear this approach is outdated and troublesome. Most of the time people use only a small subset and have to get all irrelevant class changes on top. So with CakePHP 3 already becoming alpha/beta I started to split off some of the chunks that really deserve their own plugin namespace. TinyAuth, Geo, Ajax, Rss and Shim have been created. Now everyone using TinyAuth or Rss, for example, will most likely use all those classes together, while inside Tools it would have been 1% of all the rest. I will further split out stuff in the future, wherever this makes sense regarding to these two first packaging principles. But it would also be impractical to have to maintain 150 new plugins for each small stand-alone class used somewhere at some point. So a good balance is the key again. Change is easiest when a package has not many dependencies (stable), so make sure if it does those are also not blocked for change. Stable packages ideally have a lot of abstraction (interface, …) exposed to the depending parts so their stability does not prevent them from being extended. Note that the term "stability"/"instability" isn’t evaluative. It simply refers to the dependencies of a package here. Typically, but not always, abstract classes and interfaces are not dependent on others and tend to be more stable as against concrete or implementation classes. This is because the abstract classes or interfaces typically represent the high level design and not the implementation, e.g, an interface called Logger will be more stable than classes FileLogger or DBLogger. So in both cases (class vs package level) stability means something slightly different but in the end sums up to "less reasons to change". By trying to create and use packages and classes in the direction of stability usually is the best approach and will keep necessary changes at the endpoint (usually your app) at a minimum, as well as for most parts (plugins) in between. Don’t forget to release your code with tags following "semver". You can start with 0.x and once you feel comfortable that it is fairly stable, release a 1.0.0. New functionality usually goes into minor releases, bugfixes in patch-releases. A BC break warrants a major version jump. With releasing plugins for a CakePHP version strict semver can be somewhat confusing, though (1.x/2.x here is for 3.x there, 3.x+ is for 4.x there, etc). One more severe problem with that is that once you released a new 3.x framework compatible version you cannot major bump your 2.x code, as there is no number left in between. You have to break semver, or do some other workaround using composer-constraints. Some might even suggest to use a new repository for the 3.x compatible code etc. It seems like here the design itself does not fit to the use case and misleads the maintainer to do bad things (talking from experience). I think there is a better approach. So the first number of both core and plugin matches. So in all this makes more z bumps, and occasionally an y bump. But that is OK. It also requires you to look the y version then "vendor-name/plugin-name": "1.2. *", as every y bump could break BC. In theory you could also use a 4th digit, the actual patch version: x.y.z.patch, e.g. 2.3.4.1. This would make it fully semver in itself again, but is usually not needed, as new functionality that is BC and bug fixes are both supposed to be z compliant (otherwise it would be major plugin version bump). Either way it solves the issue of framework dependent plugins by design, and not by workarounds. A smilar approach was already published here, but this is not composer friendly, and since all non major bumps should be BC, there should be no immediate need for a prefixing that includes the minor version of a framework. Note: This is just some grounds for discussion so far. If you plan on using this you should really make it clear and documented it in bold visible in the README or something. Because by default people will most likely assume you are following default "semver". Are there any downsides so far? I would really like to have some feedback here from the whole community. Most people tend to forget that they release packages that are to be used in other peoples’ (proprietary) software. That means that they cannot legally use your code unless you specifically put a license in they know they can use. An MIT license is recommended and always works. But that requires the file to be present in the root folder and/or in the files itself. Just having a statement in the README usually does not suffice. Just something to look out for. It would be sad if lots of projects/companies would like to use your plugin but cannot because of trivial license issues. Get it out of the way. You will benefit from more uses because of more feedback/contributions of them, as well. One thing you should consider is regular maintenance for your plugins. Make sure CI (e.g. Travis) tests pass, that issues and PRs are taken care of in a reasonable time frame etc. If that is too much to do, you can always ask for help and co-contributors, or even hand off the repo to someone else entirely. Then take an idea and pluginize it. You really want to start coding your own awesome plugin now but don’t have an idea? Look into the wiki of that very same repo from above. There you can find a lot of 2.x plugins that have not been upgraded yet. You could take care for any that interest you. Or you go through your existing code and check those classes (helpers, behaviors, libs, …) for re-usability. Some people might know DIP also as IOC (Inversion of Control). how better code your service classes. Cake 3 is great fun, nearly pure joy. Coding always has twinges of frustration. Composer preventing installs can frustrating. I am having a play around with your meta plugin and some ideas I got stuck with in 2.x of old with current 2.x and 3.x. both great but 3.x is a joy. I guess some 2.x plugins are not required at all. Whereas others just require reworking. 3.x favours plugins. Some plugins might require extensive rejigging. I was pleased to see bash completion is witin and super simple to get going. I love to hear your thoughts on this..
Excusme but can you give us an example how to USE the plugin if i want to use it in a Controller? But when i use this form its looking for a helper but c’mon this is not a simple helper but a complex plugin. No, plugins for plugins is not something usually done. If you want to extend, then move it to project level. You can try to inject a few things when using similar class names, but that can also be error prone.